NEW ULM — Marcella “Marcy” Stueber, 94, of New Ulm died Monday, June 4, 2018 at the Divine Providence Community Home in Sleepy Eye. Mass of Christian Burial will be 10 AM Friday June 8, at St. Mary’s Catholic Church in New Ulm with Father Bill Sprigler celebrating the Mass. Burial will follow in the New Ulm City Cemetery. Visitation will be 4 – 6 PM Thursday and 8:30 – 9:30 AM Friday at the Minnesota Valley Funeral Home SOUTH CHAPEL in New Ulm. The Christian Mother’s Society will pray the rosary at 4 PM Thursday at the Cathedral of the Holy Trinity in New Ulm. Marcy is survived by her daughter, Carol (Jerry) Pierson of New Ulm; a grandson, Scott Pierson of Sparks, Nevada; special niece, JoAnn (Richard) Portner of Lafayette; and by many in-laws, nieces and nephews. She was preceded in death by her parents; husband Joseph; and a sister Virginia Stueber. Marcella Charlotte Wiedl was born March 14, 1924 in New Ulm to John and Ella (Lamecker) Wiedl. She was a graduate of New Ulm High School. Marcy was united in marriage to Joseph Stueber on August 29, 1942 in Baytown, Texas. After Joseph was discharged from the U.S. Army they moved back to New Ulm where she was employed at the Palace Café, Sportsman Grill, George’s Ballroom, Shorty’s Bar, Jefferson School and Webcor. Marcy enjoyed baking homemade bread, old time music and playing Bingo. She also loved to play cards, especially Sheep Head. 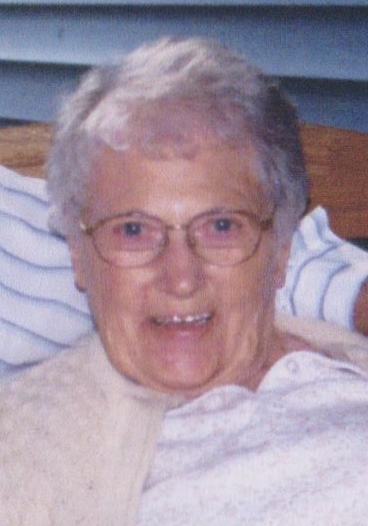 Marcy was a member of St. Mary’s Catholic Church, Christian Mother’s Society, CCW, American Legion and VFW Auxiliary.